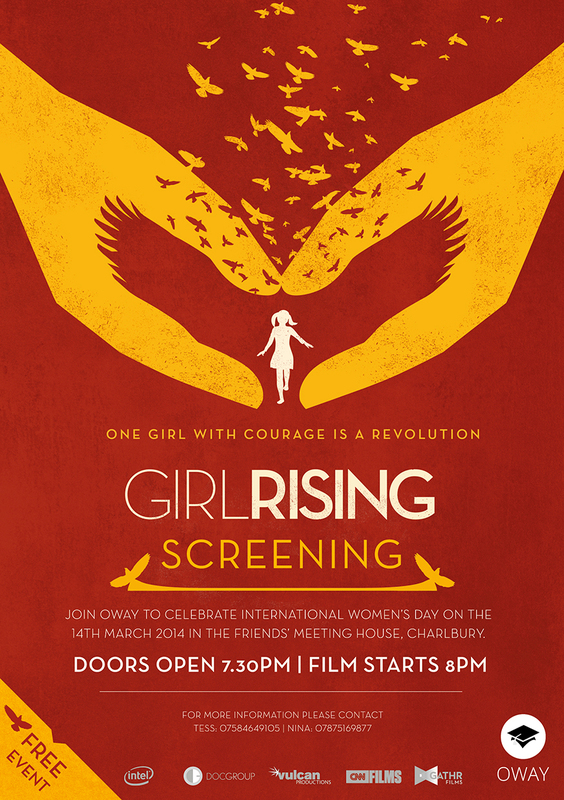 Come and join us for one of the most talked about documentaries of the year, ‘Girl Rising,’ a ground-breaking film about the power of education to transform societies. The film presents the remarkable stories of nine girls around the world narrated by renowned actors such as Liam Neeson and Meryl Streep and we are screening it not only because it is inspiring but also because it celebrates International Women’s Day and supports the charity One Woman a Year International. We want to make this event as successful as possible and would love you and the members of your local community to come and enjoy it with us. We’d appreciate any help you can give us in forwarding this email to friends or colleagues in the local area who you think might also like to attend. The Friends Meeting House has limited seating so it would be really helpful if you can let us know if you’d like to come along. You can call us on 07875 169877 or email us either at [email protected] or [email protected]. Thanks for your help. We really look forward to you joining us on the day and if you want further information there are a couple of links below.